Features hand painted tile mural, counter top and halogen accent lighting. 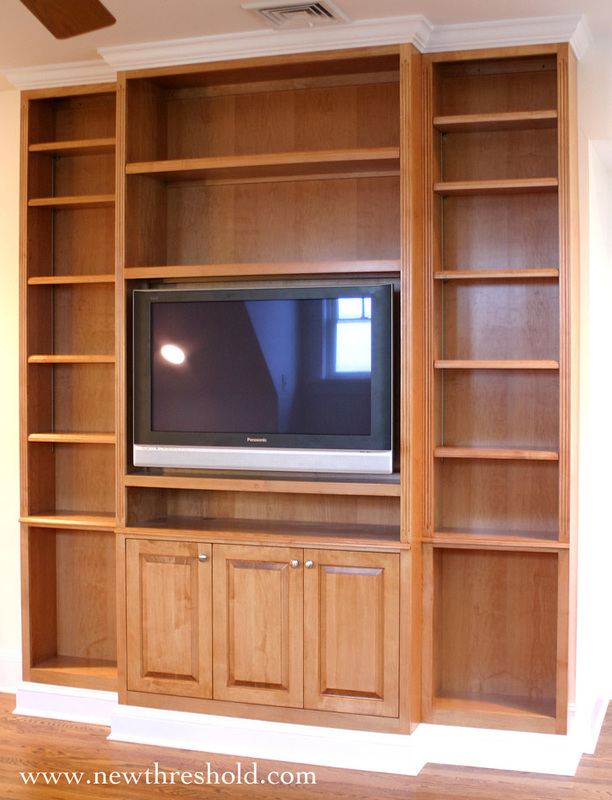 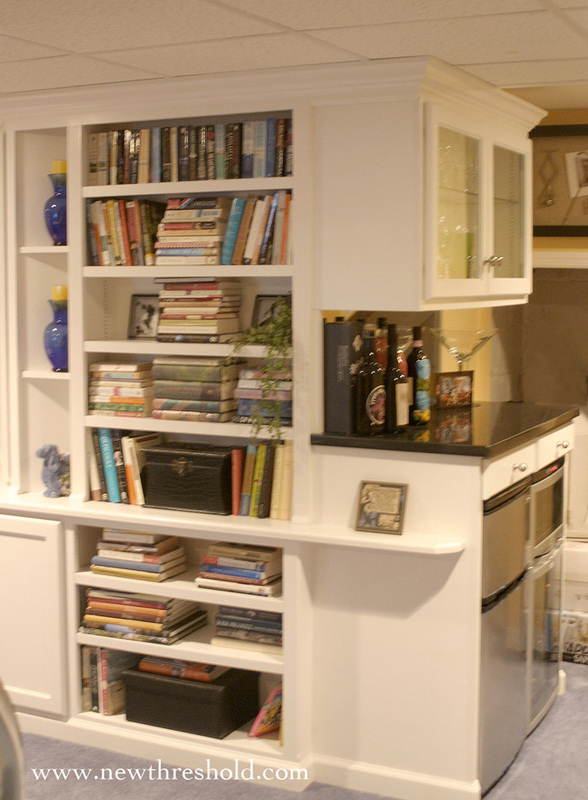 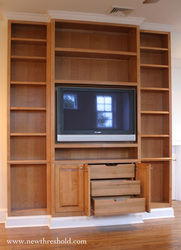 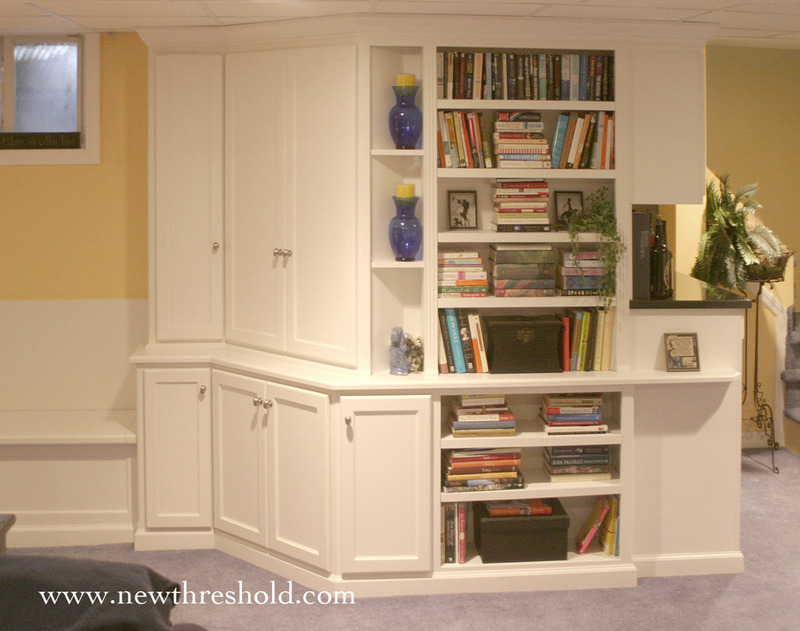 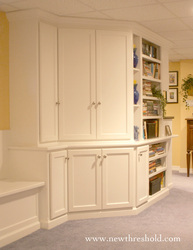 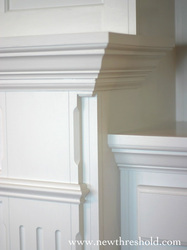 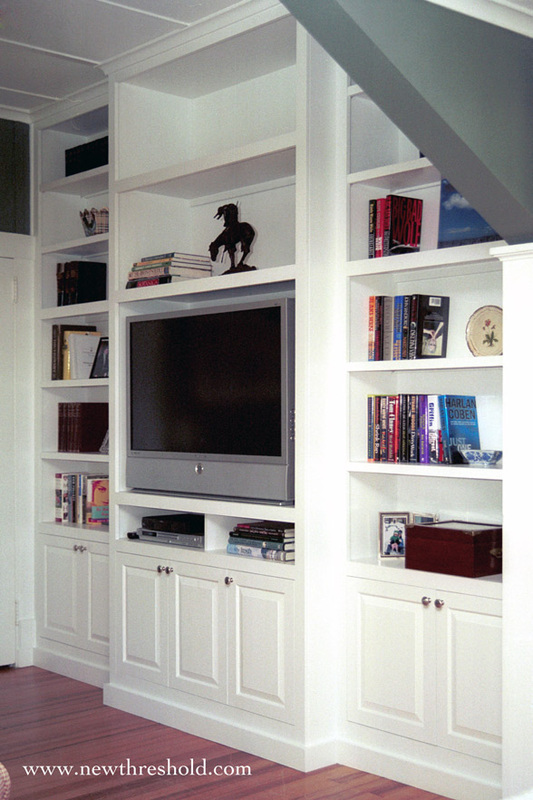 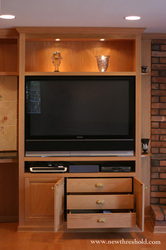 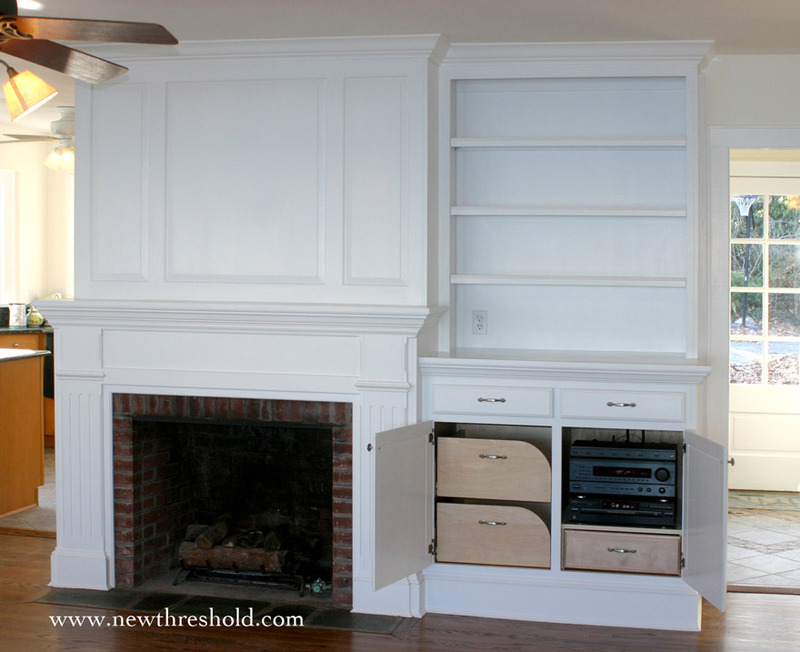 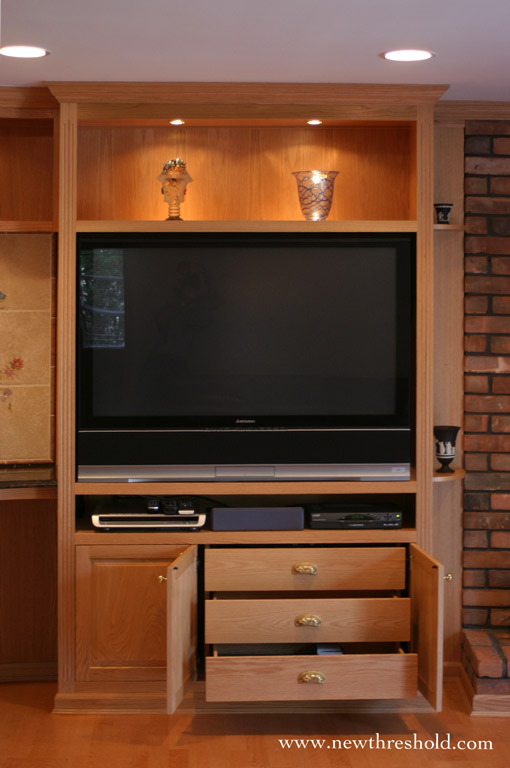 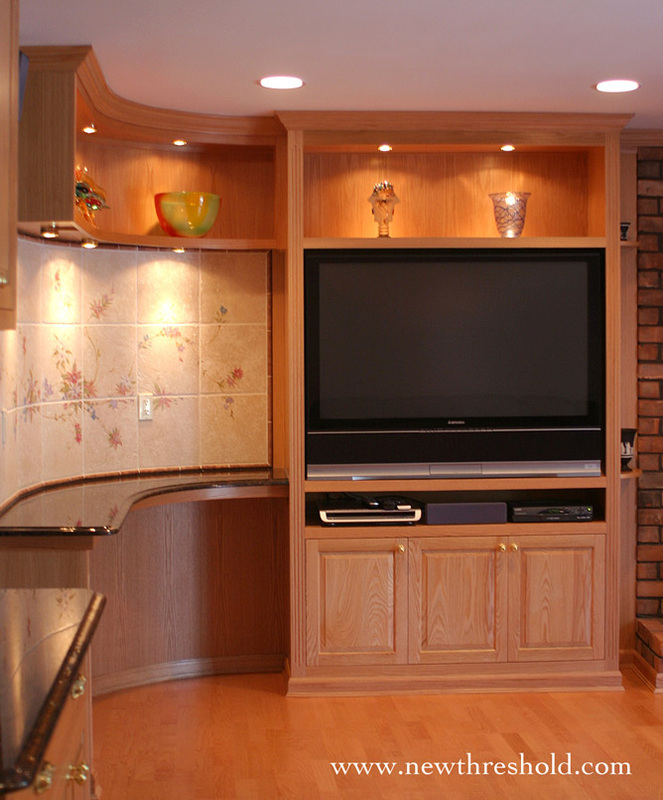 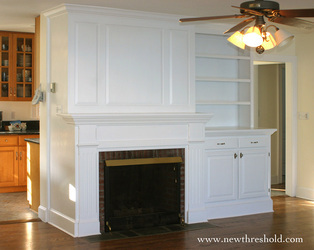 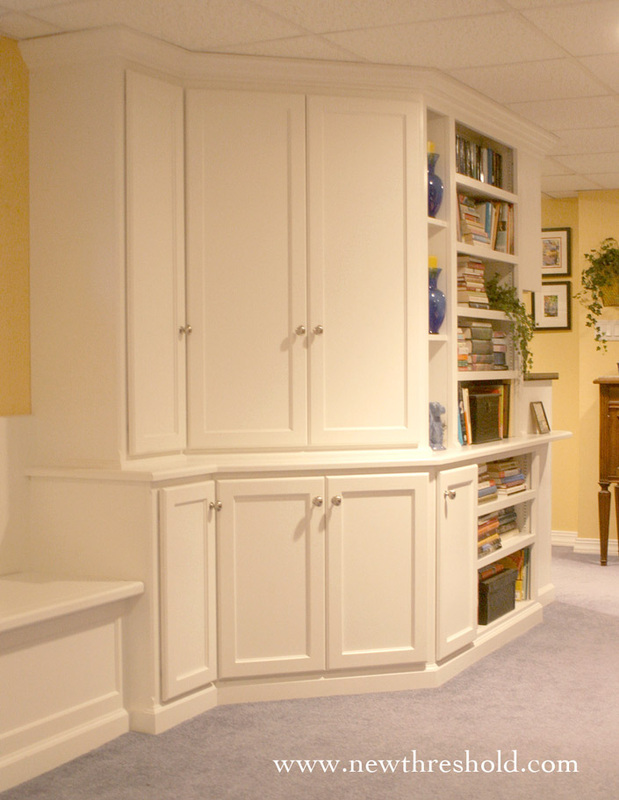 Features mantel, shelves and drawers for storage and entertainment system. 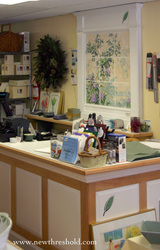 Features approx. 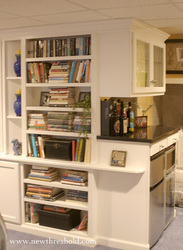 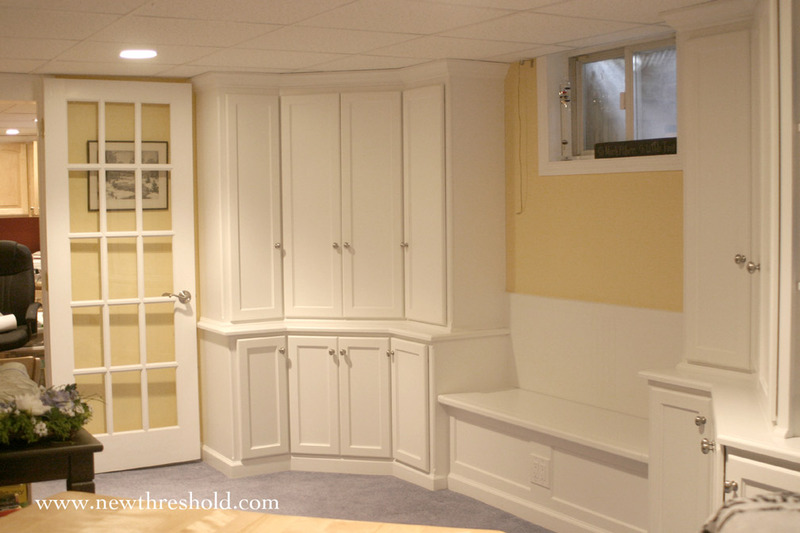 17ft of storage space with cabinets, shelves, counter top and window seat. 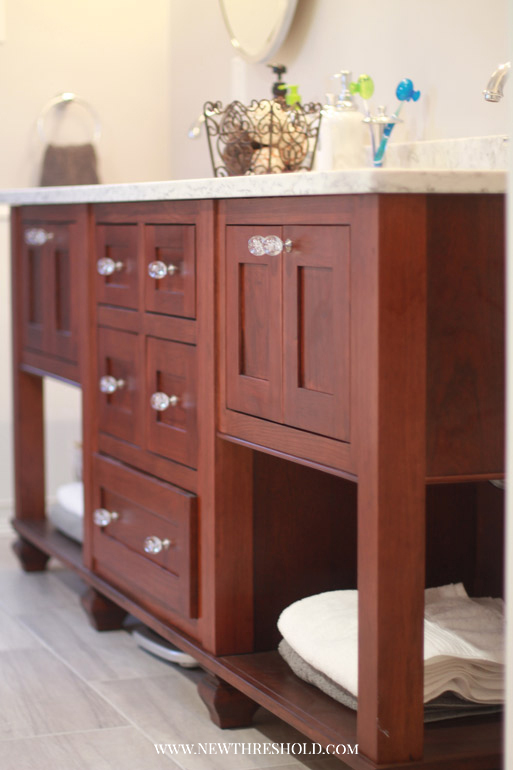 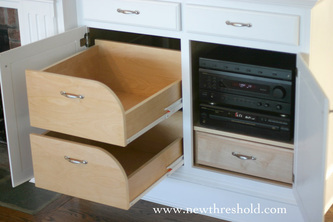 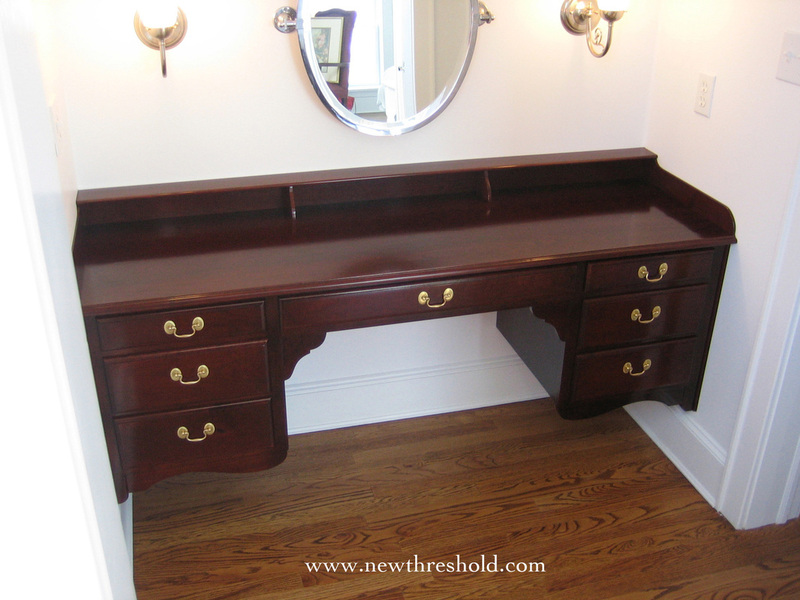 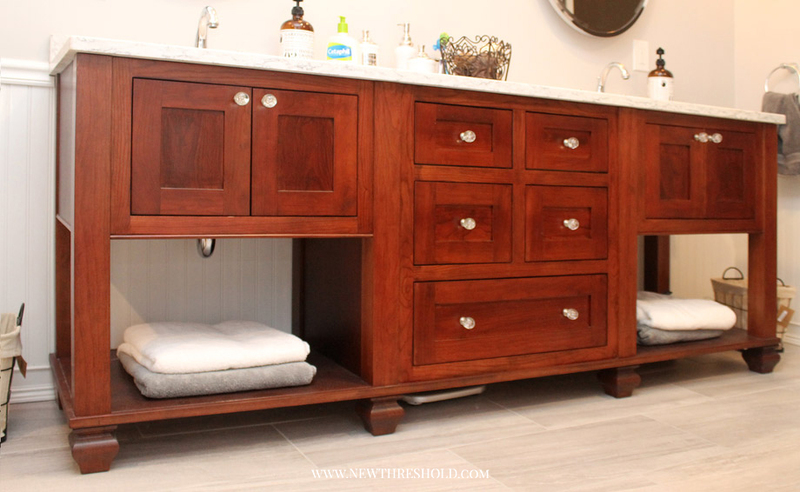 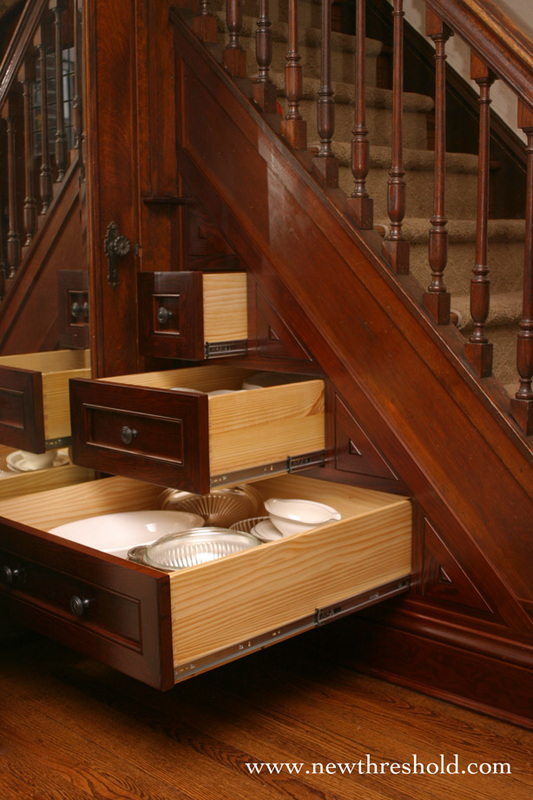 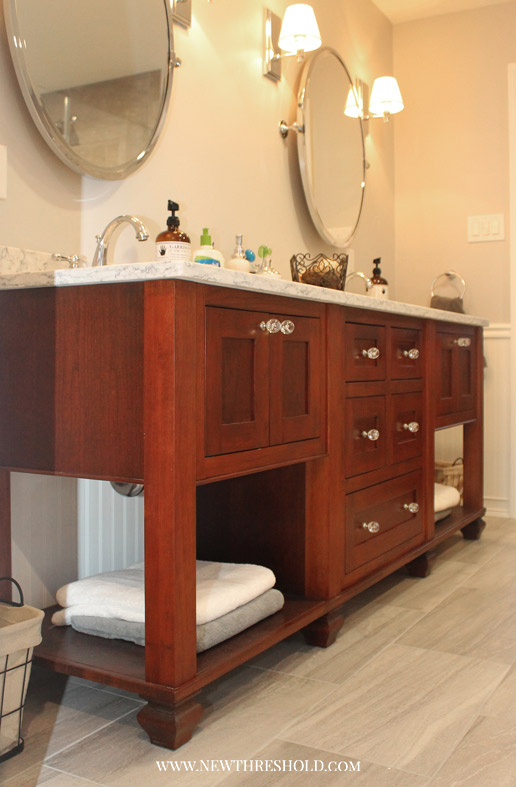 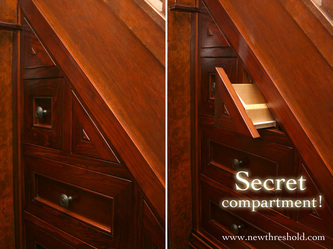 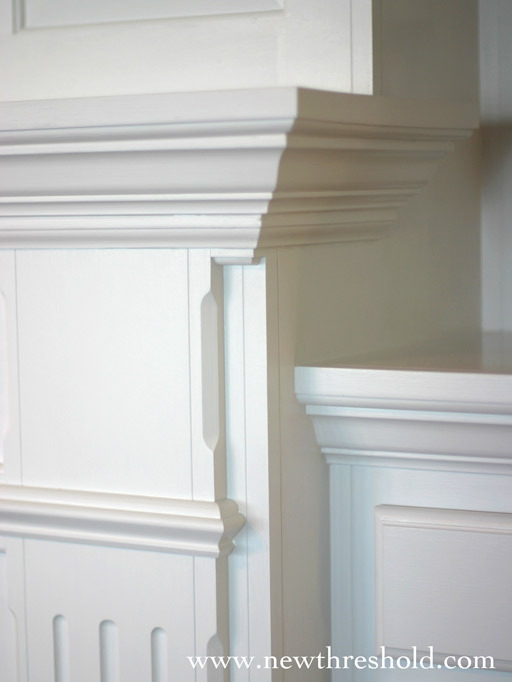 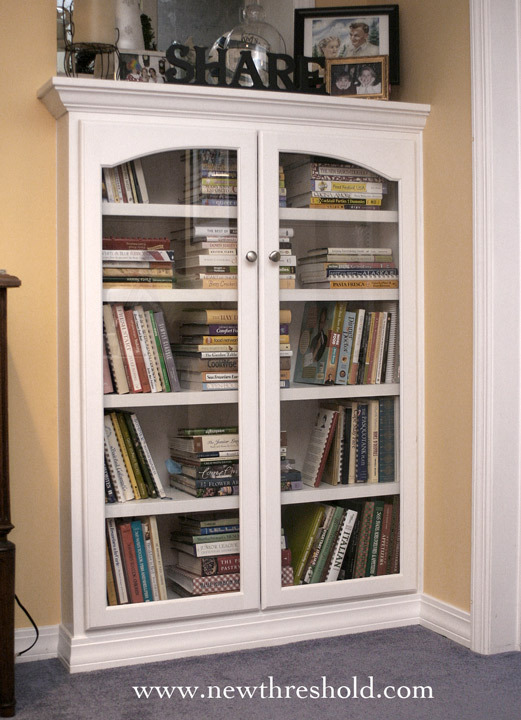 Features drawers for storage and a secret pop-out compartment. 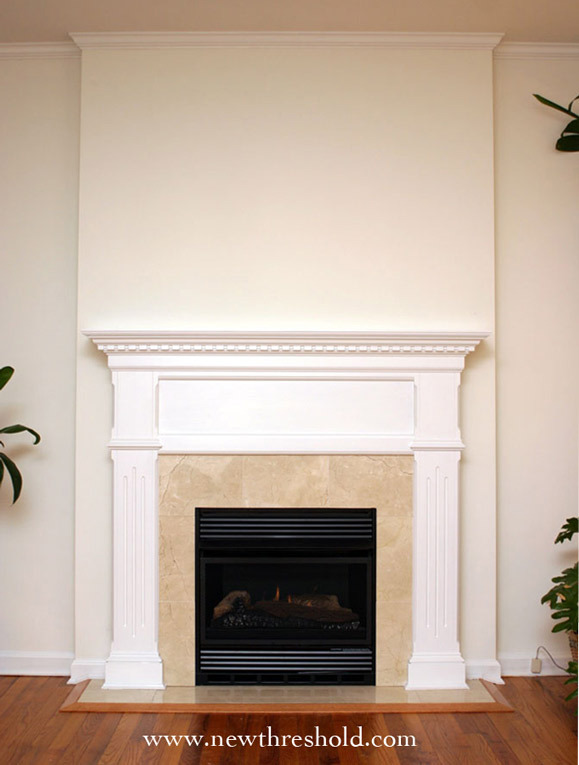 Features gas fireplace bordered with Tuscan Marble. 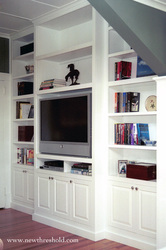 Features glass shelves and halogen accent lighting. 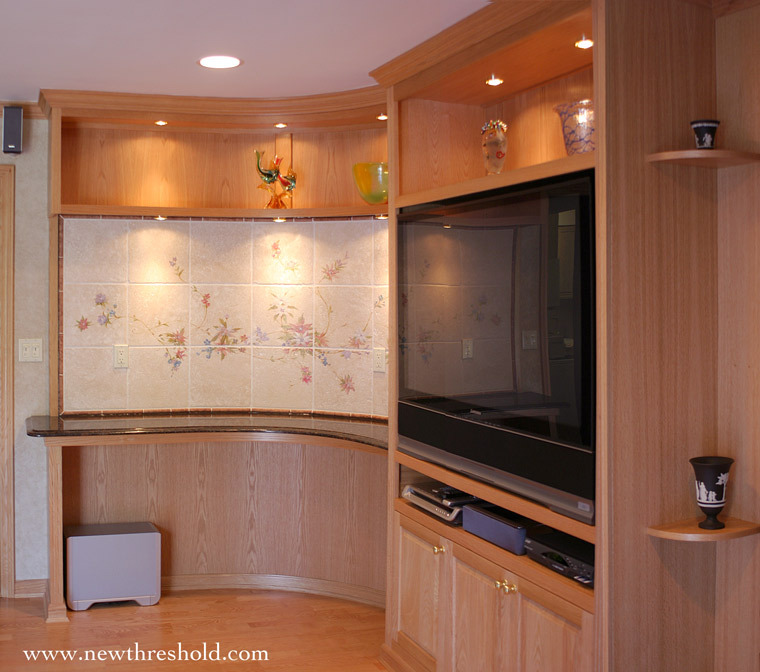 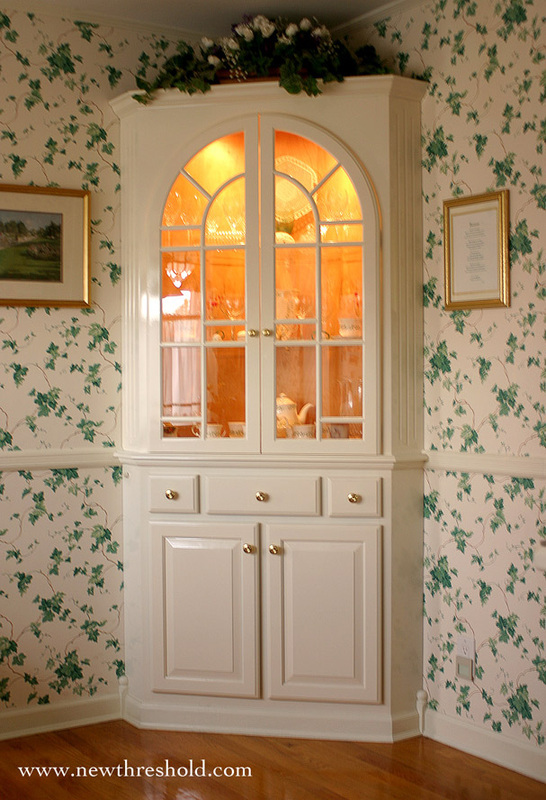 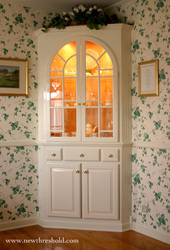 Features raised panel counter and hand painted tile mural. Material: Maple and Maple veneers. 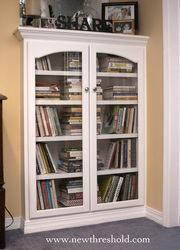 Material: Features 8 foot tall Pine doors and antique door knobs. 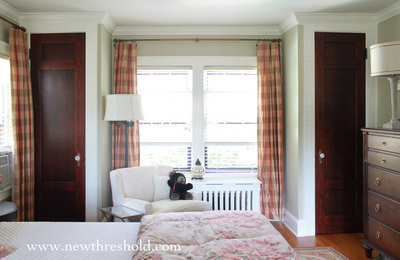 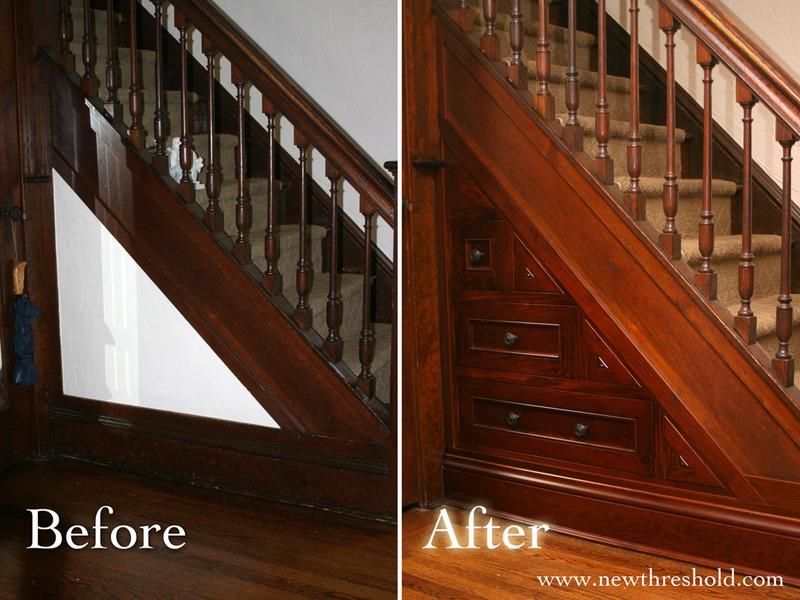 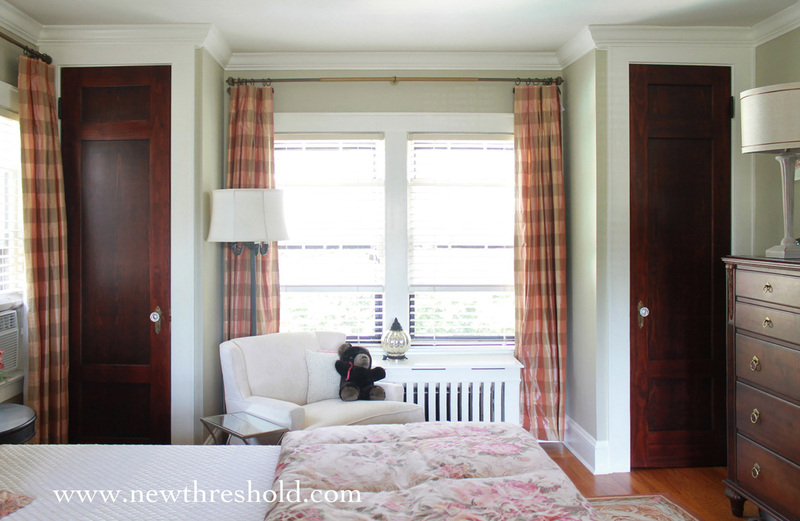 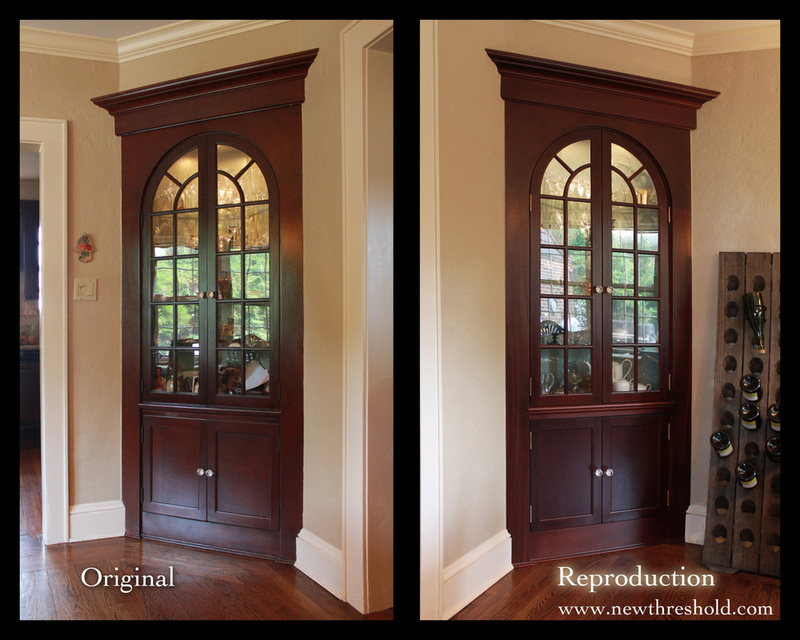 Created a matching Mahogany cabinet to be paired with owner's 1920's era original.